The much awaited 2013 MTN project fame season 6 registration and audition is here again, participant are required to send name and location to 35850 to get your pin. 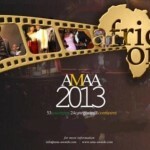 Then you will need to download or fill the form online and bring it to the audition venue. The MTN Project Fame “More than just a talent competition, MTN PROJECT FAME WEST AFRICA allows viewers special chance to follow every day what happen behind the scenes process of 15 candidate that aspire to become artistes, they will be groomed for success in a hard presentation academy. The realities of what it takes to become a music artiste superstar will be made known, as leading specialists from all fields of the industry give participant the very best professional instruction ranging from voice and movement to performance and song writing. 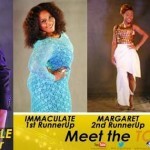 The participants will also be given the chance to meet and perform alongside their favorite stars who will be conducting exclusive master-classes, sharing their knowledge and ideas for success.” The MTN Project Fame finalists will be expected to live in the PROJECT FAME Academy for a period of 10 good weeks. All applicants must not be less than 18 years old before going on to register for the audition and participation of this year MTN Project Fame Season 6 Registration and Audition. Only amateur are eligible, if you have ever recorded or you have released a song or album, you are not expected to participate in the MTN Project fame season 6 registration and audition. Before you go on to fill the form online, don’t forget to get your pin by sending your name and location to 35850, when you receive your pin, it will be in 8-Digit. MTN Nigeria line ONLY. 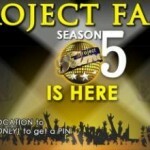 For any other additional information, check here MTN Project Fame Season 6 Registration website. can i send the code dhiz very nigth and get the pin??? Where is the audition taken place and by what time? i love mtnprojectfame, i want to be among the performances.